For the 2005 WRC Monte Carlo Rally, the Subaru team entered the upgraded Subaru Impreza as used in the latter half of the 2004 season. 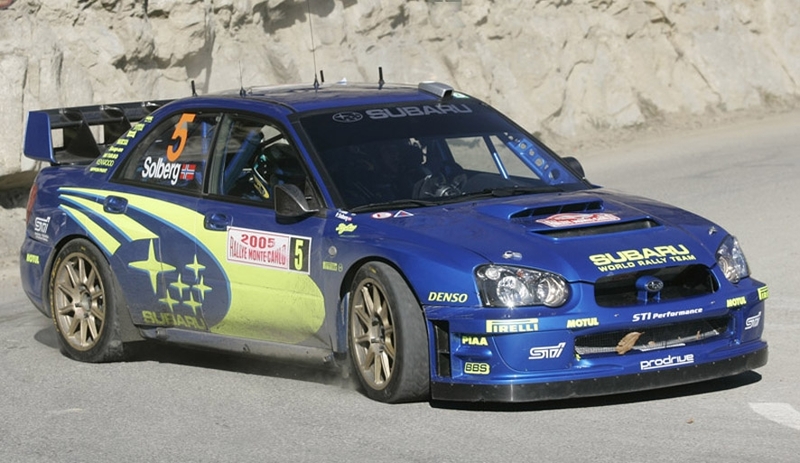 Despite suffering brake troubles, 2003 champion Petter Solberg was able to keep up with the leaders after the first 2 days. 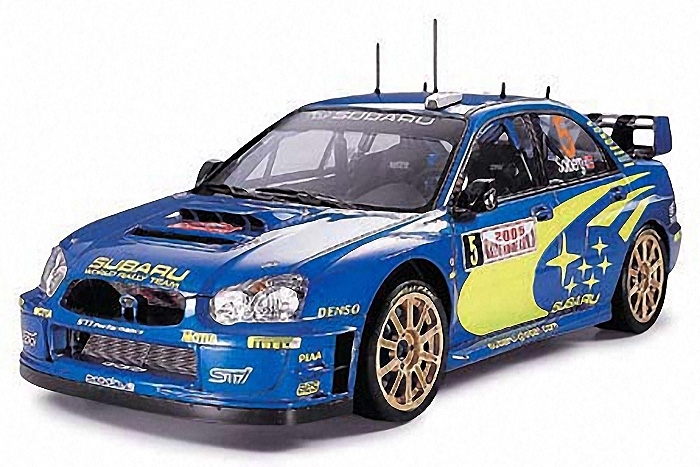 On the final day he recorded the fastest times in the first 2 stages to climb up to 3rd place, before being forced to retire after a heavy crash in the snow. Although unlucky in the first race of the season, Solberg and the Subaru team were able to quickly forget the disappointment of Monte Carlo, taking victory in round 2 in Sweden, proving Solberg and the Impreza have what it takes to win the WRC crown back. Details unique to Monte Carlo vehicle all reproduced including lowered chassis for tarmac racing, straight lower arms, on-road Pirelli tires and wheels, and short antennas. Sectioned rear wing comes molded as one piece. 10-spoke wheels come pre-finished in gold. The essence of a rally car fully captured with detailed cockpit and interior roll cage. 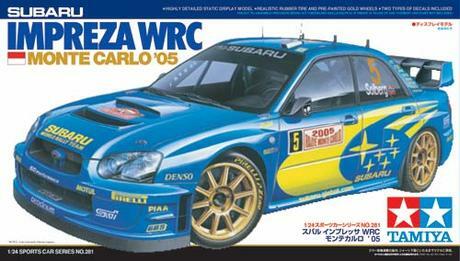 Includes markings for Solberg"s No.5 and Sarrazin"s No.6 vehicles.